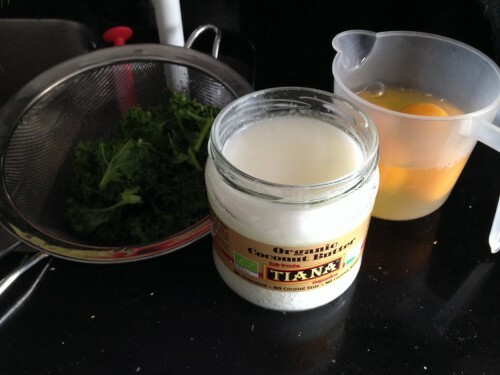 Heat your frying pan, whilst that is heating grab a couple of handfuls of kale to tear and wash under cold water. You can pull the kale off the stalks. When you pan is hot, add the coconut oil and spread it around the pan. You may need a splash cover as this oil might spit if too hot! Add your kale and fry for a couple of minutes. Beat 2-4 eggs into a jug, add a small drop of milk if you want. 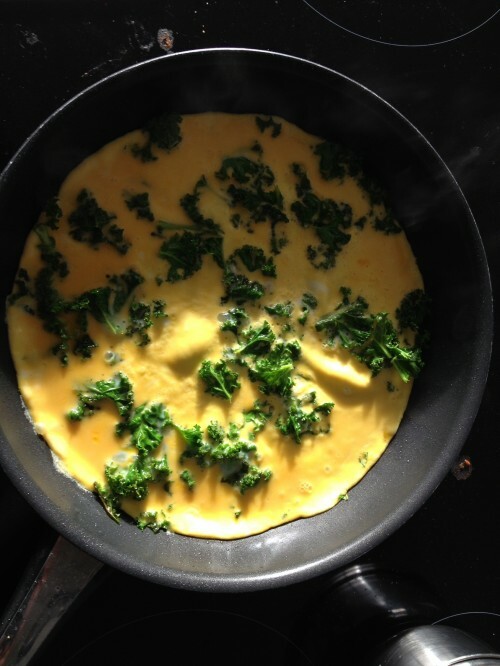 When the kale has softened add the egg mix to the pan. Let it set. Shuffle the pan after a minute or two and if the omelette moves as one, it's ready to eat. Add your seasoning then eat.